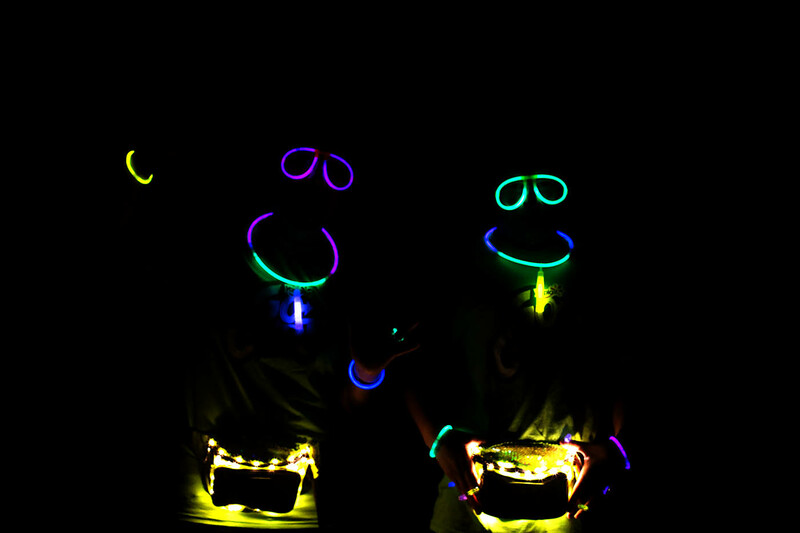 We love a good themed party around here and one of our favorite types of parties for tweens AND teens is a GLOW party! 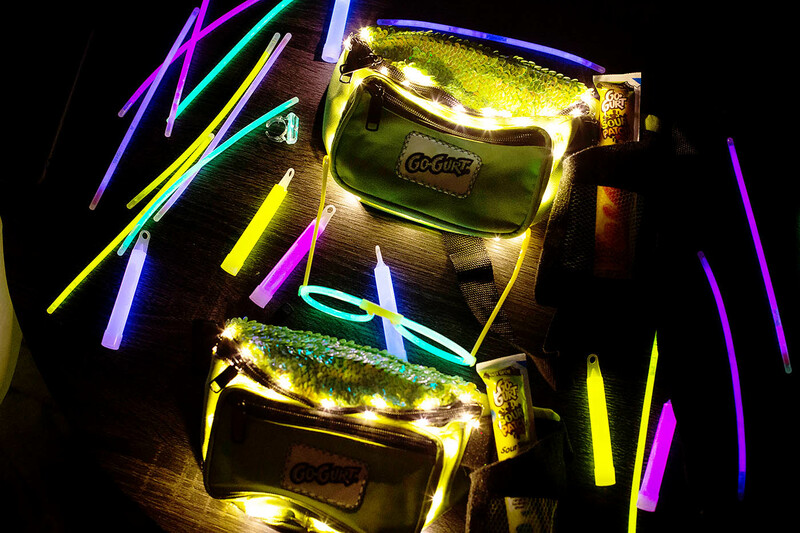 All things glow in the dark or black light reactive go for this type of party and it’s the perfect excuse to dress crazy and over the top neon. 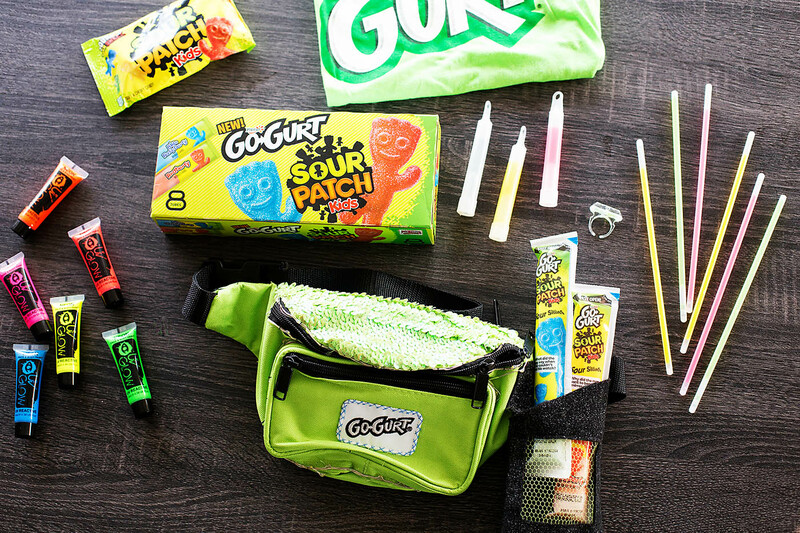 We’ve partnered up with Go-GURT to celebrate their awesome brand new flavors that are inspired by the taste of SOUR PATCH KIDS candy! 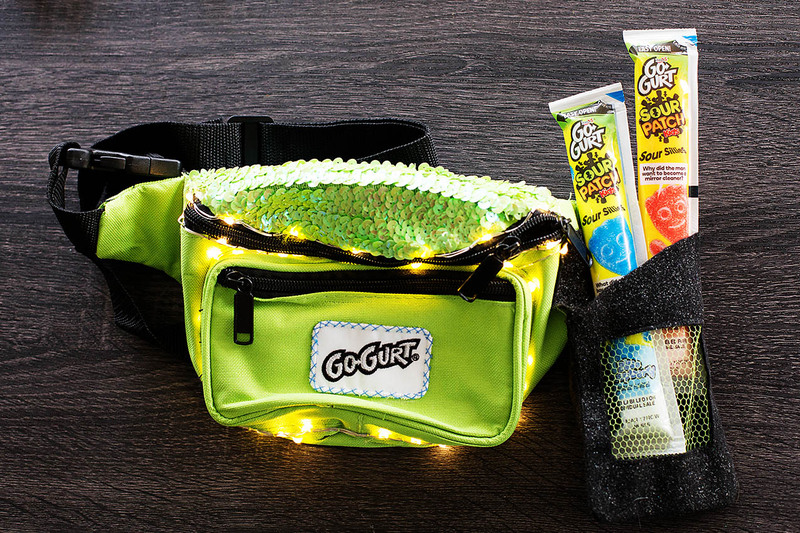 Go-GURT sent us a crazy, over the top, fun surprise box (including these amazing fanny packs) that instantly inspired the need to host a teenaged GLOW party. You don’t have to have a reason to get friends together for night-time fun. Kids don’t get together enough these days so hosting little parties is a GREAT way to meet their friends and just have a fun night. 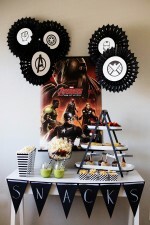 There are lots of things that can inspire a party theme. We’ve had parties inspired by movies, holidays, and food. 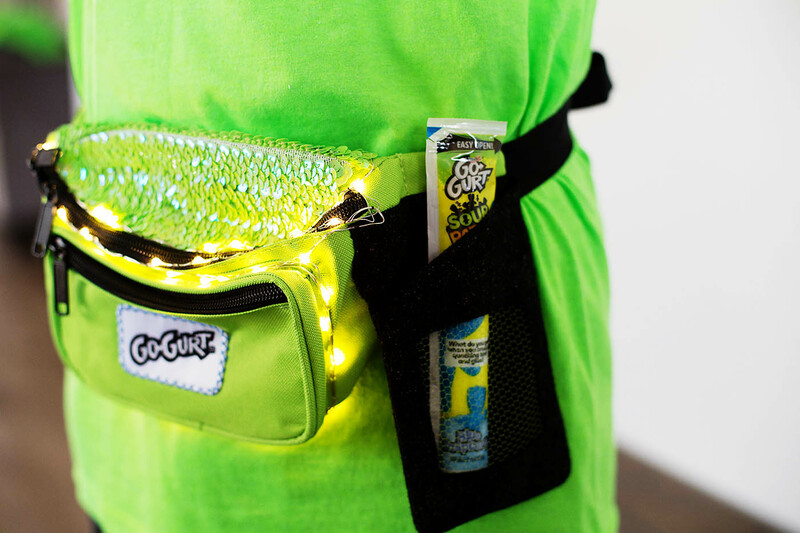 Go-GURT SOUR PATCH KIDS flavored yogurt is the perfect accompaniment to an active GLOW party because it’s an awesome on-the-go snack that brings the sour and sweet flavors of SOUR PATCH KIDS candy to life. It comes in two popular SOUR PATCH KIDS candy flavors, Redberry® and Blue Raspberry. It doesn’t actually have the candy IN it, the flavors are just inspired by them (with the same nutritional qualities as original Go-GURT). 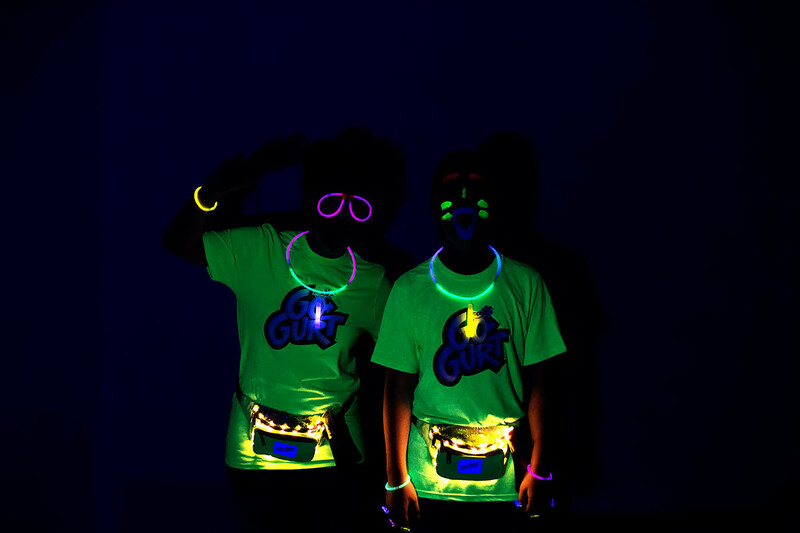 Colton and I wanted to taste test the new flavors before the party and test out our new neon GLOW party gear. They are so good! 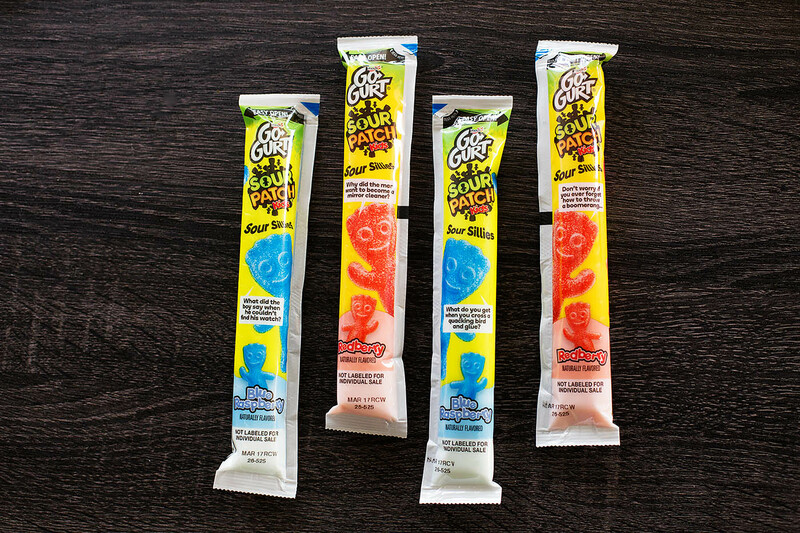 They taste so much like the candy but creamy like Go-GURT. Definitely a fun snack for a fun party. Once it gets dark the fun can start! 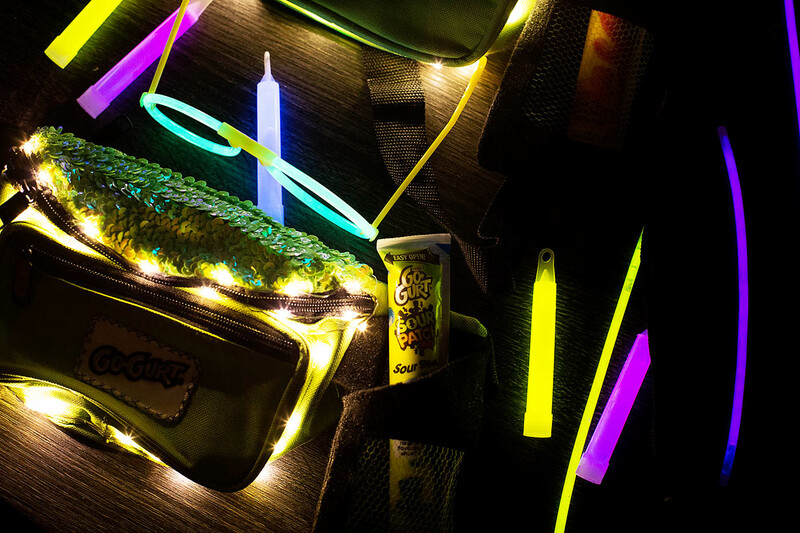 Here are some GLOW party game ideas to get you started. 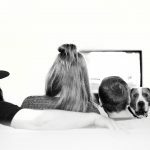 Have the kids wear glow in the dark jewelry so they can see each other better in the dark. 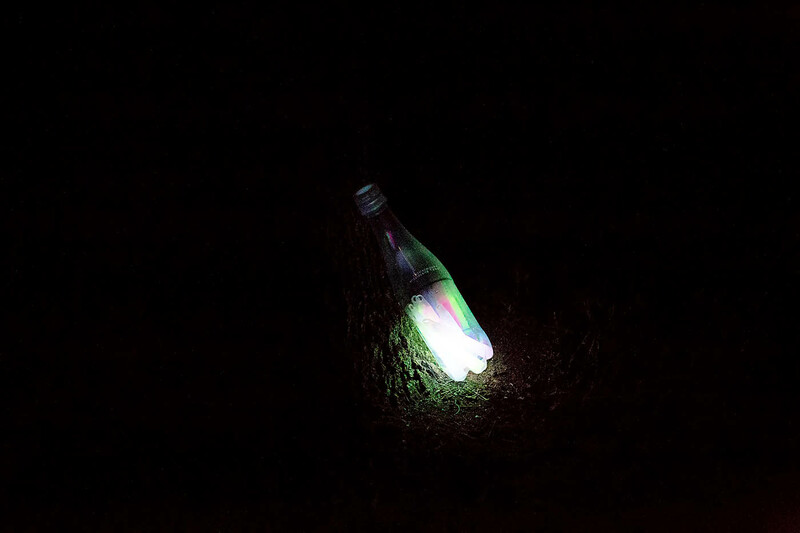 Capture the glow stick / glow bottle – the same idea as capture the flag, but with a glow in the dark bottle. 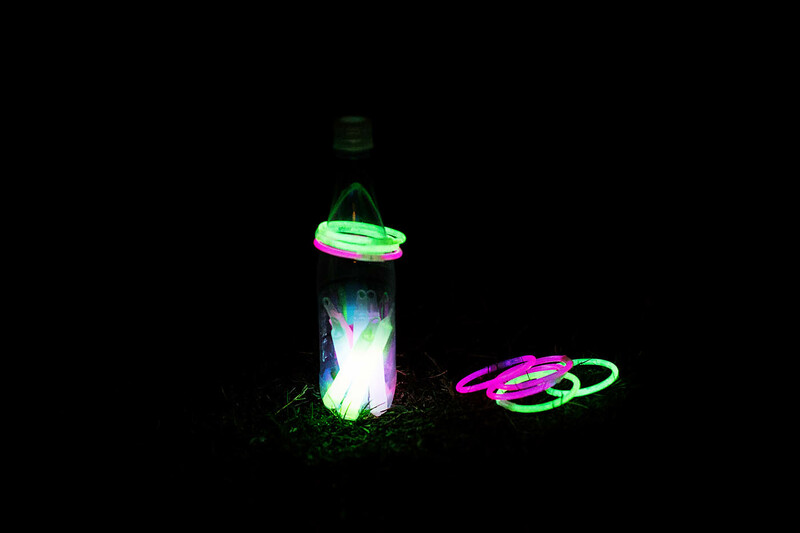 Glow ring toss – basically what it sounds like, add some glow sticks to a bottle and take turns tossing the glow rings onto the bottle. You can take this even further and mount several bottles to a large board. Flashlight tag – take off the glow sticks and play tag with flashlights. The neon shirts will stand out with the flashlights! 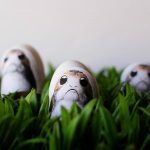 Hide and Seek – leave the glow sticks on and try to stay hidden. Charades or Reverse Charades – play charades under the blacklight (with your face paint of course). Reverse charades is a fun twist where most of the group is acting and only one person guesses. Dance Party – no matter what a good old dance party is always a fun way to end the night. 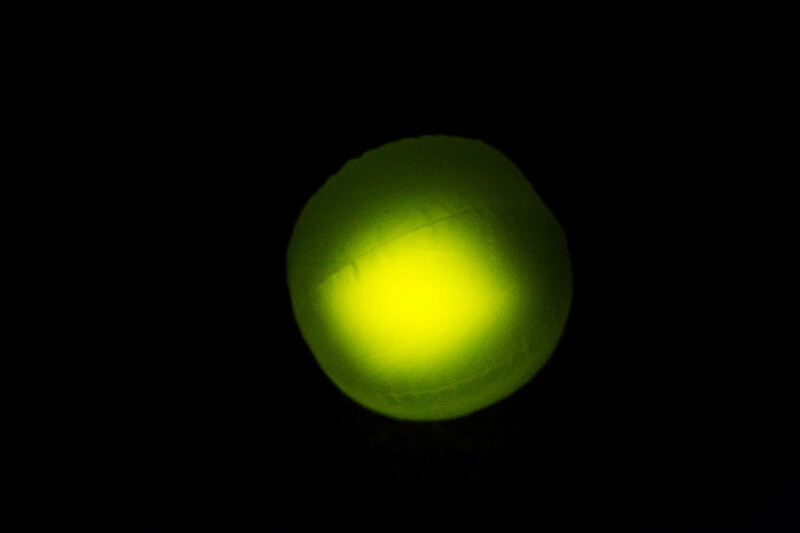 Night Volleyball – or any other ball game really, just add a glow in the dark ball! Don’t forget the fun snacks. 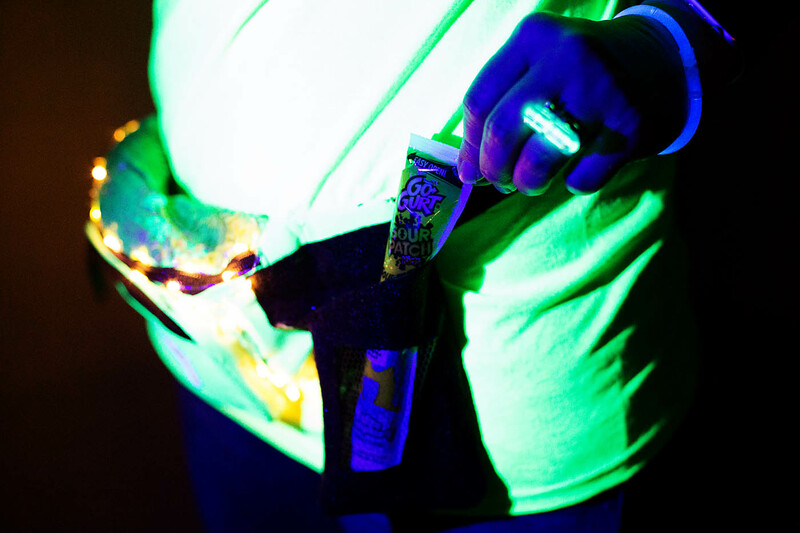 Keep some Go-GURT SOUR PATCH KIDS flavored yogurt on ice (even cooler under a blacklight). 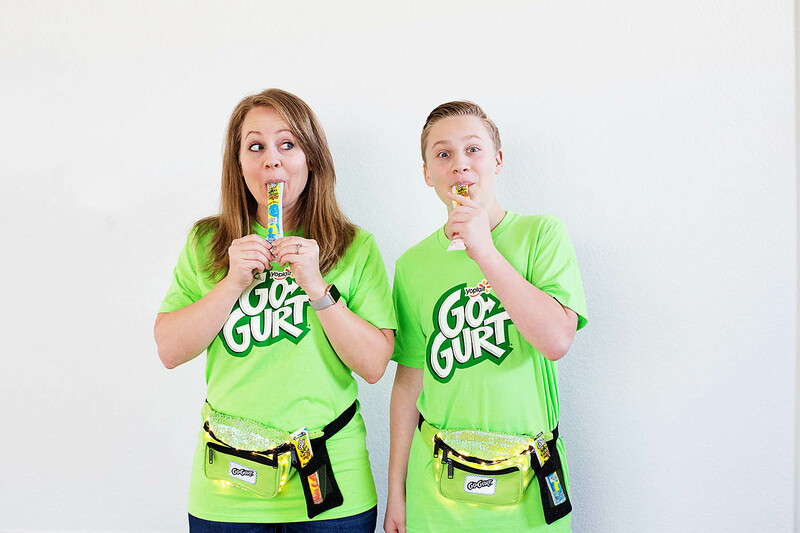 Go-GURT wants you to join in the fun with YOUR kids and taste some Go-GURT SOUR PATCH KIDS flavored yogurt yourself along with getting your hands on your own awesome fanny pack! 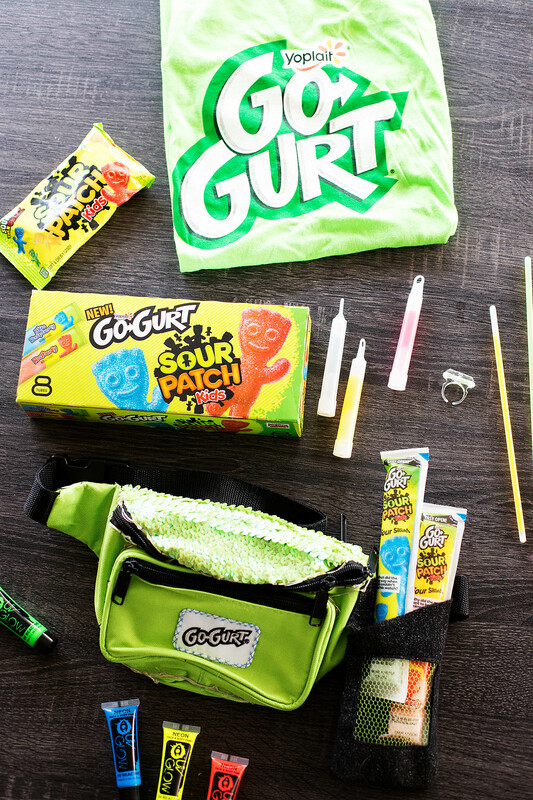 Enter for a chance to win your very own Go-GURT fanny pack, as well as coupons to purchase Go-GURT SOUR PATCH KIDS flavored yogurt! Ice Cream Party with a 2 Foot Sundae!